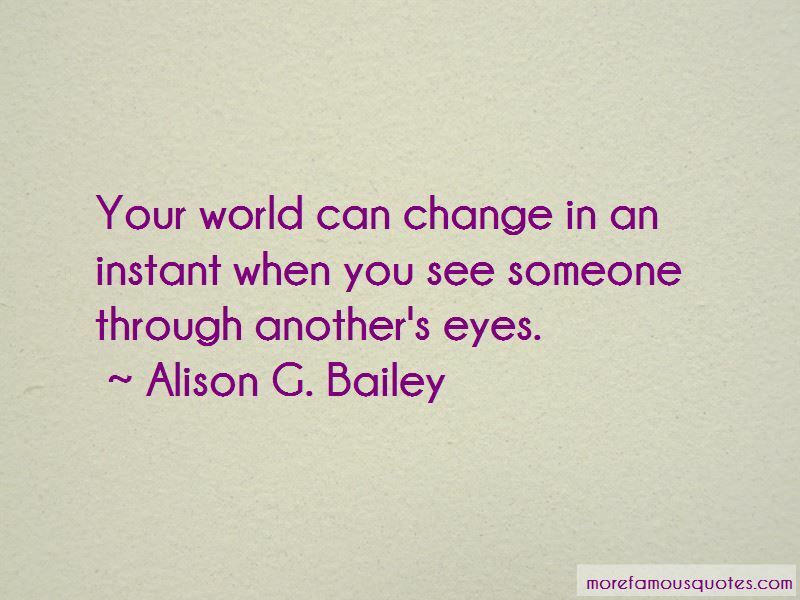 Enjoy the top 80 famous quotes, sayings and quotations by Alison G. Bailey. Perfection is an illusion nurtured by insecurities. make us or break us. Nothing has ever been a waste when it comes to you. Not my time, my thoughts, or my heart. I don't regret anything about my life with you, even the times we were apart. Those times showed me how much I belonged to you. I knew we would be together one day. I just had to be patient and wait. And you were so worth waiting for. Always remember present perfect, grasshopper. “PLEASE DON'T DO IT, NOAH! PLEASE!" "BECAUSE YOU'RE MINE!" I screamed at him through my sobs. Dying is a process. Dead means you've already arrived at your destination. cars and Legos, then do it. May I remind you, sweetheart, I never wanted someone else. That was your call. you ever kissed a guy?" This is becoming a habit." I scrunched my eyebrows in confusion. "What is? ""You and me on top of each other. Would you do me a favor? ""Depends on what it is. "Noah extended his hand in my direction. "Dance with me? I would never love anyone except Noah. He was the love of my life, my soul mate. No one would ever replace him. Being here with you, smiling and laughing, it's the first time I've done that since you left that it wasn't fake. I need you back in my life. “I can't lose you, Noah." Getting over someone doesn't happen by getting under someone. It just reminds you what you should have held on to. 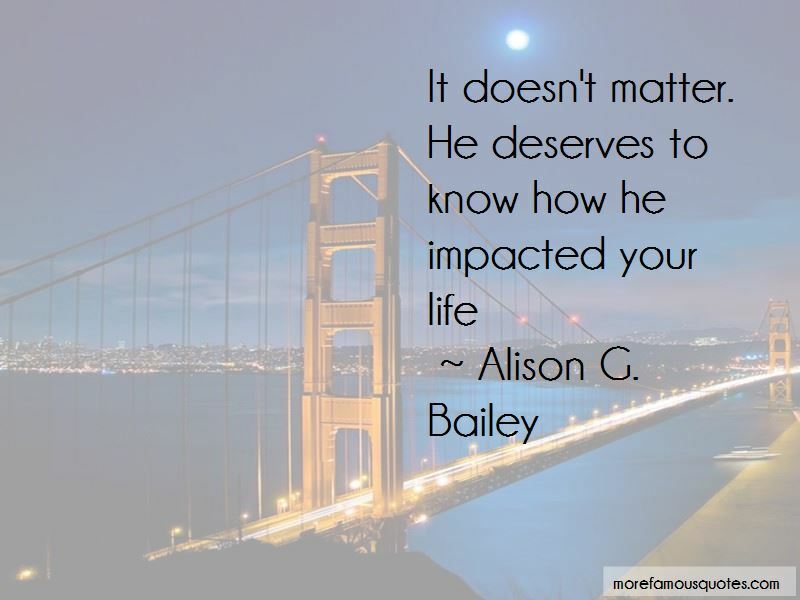 Want to see more pictures of Alison G. Bailey quotes? 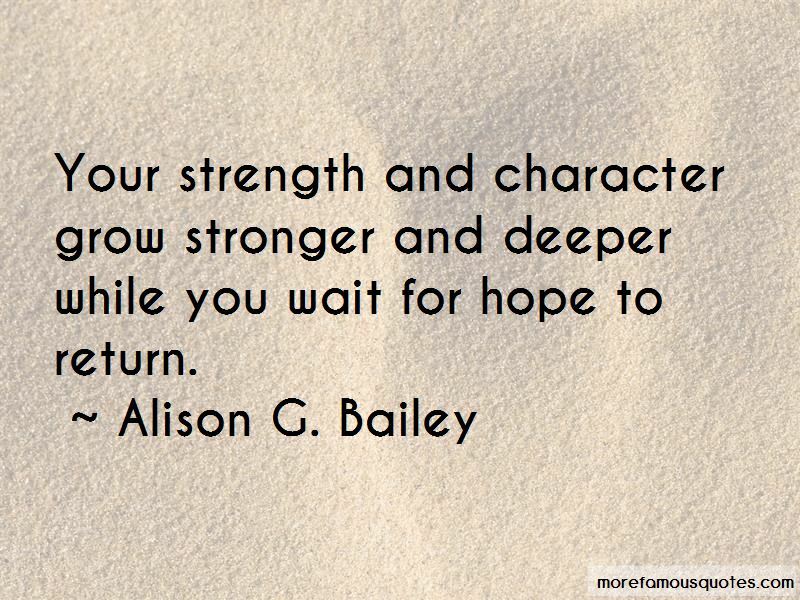 Click on image of Alison G. Bailey quotes to view full size.